well as all responsibility for using these fireworks. I am 18 years of age or older. Product sold in full case lots only. Items and quantities are subject to availability. Prices are F.O.B. Seymour, Missouri. Credit is reviewed on case-by-case basis. All approved accounts must have a current ACH on file before orders are finalized. The current price list supersedes all previous price lists, written, oral or otherwise. have occurred during the preparation of any documents. 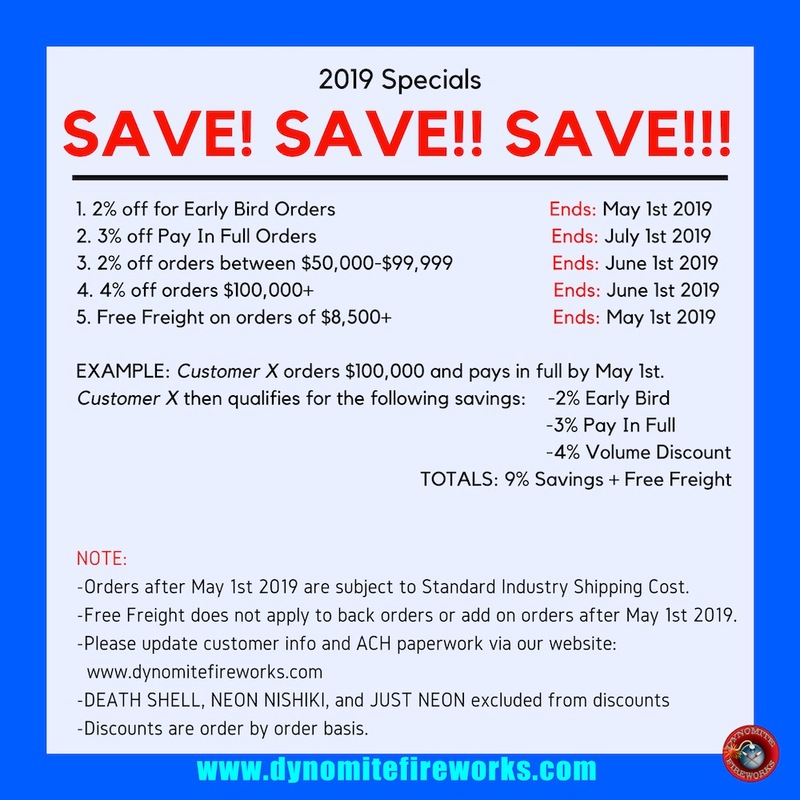 All documents, customer forms, and/or any required documents must be uploaded to account, faxed, or emailed to Dynomite Fireworks LLC prior to order being finalized. No exceptions this process could potentially risk order not being filled, delayed, and or subject to cancellation. Customer documents must be updated on a year to year basis.